Used to bond two pieces of plastic together; produces weld that are relatively free of flash; easy to automate; particularly suitable for high volume production. Ultrasonic welding of plastic materials creates a molecular bond within the weld seam. Longitudinal vibrations in frequencies of 20 kHz, 30 kHz, and 35 kHz with tool amplitudes between 5 µm and 50 µm are introduced into the plastic materials under the action of force. Ultrasonic vibrations are focused by means of special design of the components or tools. This specific geometry within a component is referred to as energy director. The contact points in the joining area are actively molded by means of energy input to achieve elastic deformation. Friction occurring between the contact surfaces and within the molecule chains generates heat that causes the material to melt. Copyright 2019 | Hi-Rel Plastics & Molding, Inc.
Hi-Rel Plastics & Molding, Inc. offers custom plastic injection molding and blow molding for all major industries. 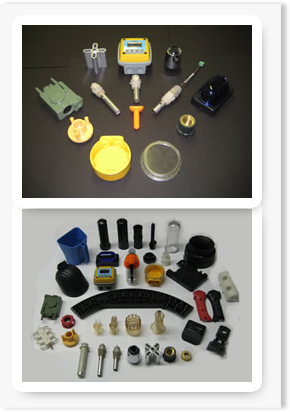 At Hi-Rel Plastics & Molding, Inc. we serve every facet of the molding process from part evaluation, 3D Printing, prototyping, tool design, tool making, sampling and production of quality finished plastic and metal parts. Our commitment to product quality, on-time delivery, and superior customer service has enabled us to forge strong. Hi-Rel Plastics & Molding, Inc. processes an almost infinite variety of thermoplastic resins, including engineering grade materials such as PEEK, ULTEM, PVDF, LCP, PPS, PES, PC, PBT, ABS, NYLON, Glass Filled Nylon, ACETAL, PP, HIPS, HDPE, LDPE, ELASTOMERICS (TPE), POLYURETHANES, ACRYLIC, PVC and many other specialty filled / unfilled grades too numerous to list. Since we started the business in 1984, we've built partnerships with every customer on the basic business principles of integrity, responsibility and ingenuity. 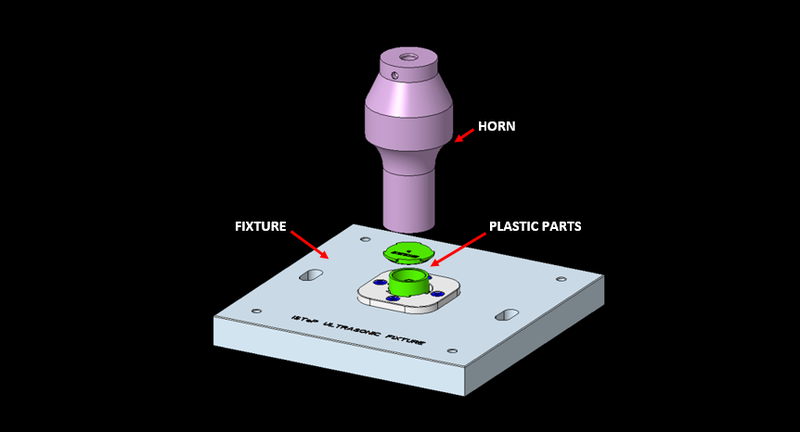 Whether you’re looking for complex technical parts for medical, aerospace, military or scientific application or luxury item components for your high end customers, the mold designed & build by Hi-Rel Plastics & Molding are always very high precision. With more than 35+ years of experience, our employees master technical & practical knowledge of design & building of molds for plastic parts. Our team has acquired a level of technical skill & problem-solving experience that guarantees the delivery of high quality products to our clients. Some of the parts we make here we have to meet tolerances of up to ± 0.001 inch in order to maintain a low rejection rate of less than one-half percent. We are well-known in our industry, not only for the top quality work we produce, but also for our ability to discover unique and effective solutions to customers' dilemmas. Such difficulties may lie in the areas of design or processing or somewhere in between. Our scope of knowledge is broad and covers many topics. these include, but are not limited to, plastic injection molding and blow molding needs, machinery, auxiliary equipment, molds and their components, resins, colorants and additives, processing parameters as well as the numerous types of interactions among these and other factors. On many occasions through the years when our competitors have been unable to successfully produce a particular part, Hi-Rel Plastics & Molding, Inc. has triumphed. The depth and breadth of our expertise make us an invaluable resource for our customers. Our customers recognize our capabilities and continue to return to us for their custom injection and blow molding needs. 35+ years of thermoplastic injection and blow molding experience. Consistent high-quality parts at competitive prices. Engineering Solutions for demanding applications. We offer JIT ( KANBAN ) orders. We utilize our own fleet of delivery vehicles to ensure accurate just-in-time delivery. We invest in training associates through a full-time trainer and pay-for-knowledge training system to ensure associates continue to learn and maintain industry skill levels. We are a team of dedicated Associates ready to serve your injection and blow molding needs. Our quality is superb, price is competitive, and delivery is the best in the industry. Hi-Rel Plastics Molding, Inc. is serious about providing customer service.